The Climbing Lodge is open from September to May, all winter through. We offer breakfast buffet and daily care from Sep-Nov, Christmas / New Year and March-May. From June - August we have summer break and rent the Climbing Lodge as a holiday home. Rooms, apartments, holiday homes, climbing courses. For rooms in the guesthouse included. Not possible at holiday homes. 1. Simply fill out our reservation form and you will receive an autom. Incoming mail. If not, please check your SPAM folder! 2. Our booking confirmation with invoice follows within 24 hours (in summer unfortunately only after 2-5 days). 3. You then transfer 50% of the invoice amount and your reservation is binding! You are welcome to arrive anytime! We'll leave you a note & your key next to the climbing-lodge entrance door. Throughout the winter, El Chorro is sunny, mild and dry. 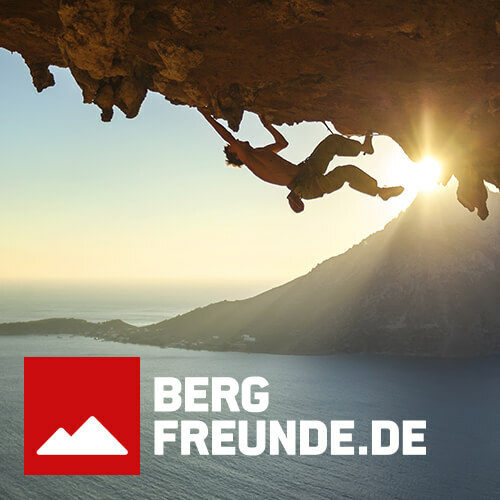 And with over 300 sunny days a year, a dream for every climbing holiday! Bed linen & towels and final cleaning are included. Wi-Fi is included in the climbing lodge. In the rooms of the guesthouse our large buffet breakfast & packed lunch is included. In the evening you can cook for yourself or visit a restaurant. In the apartments you can book the buffet breakfast extra. Unfortunately, we do not offer breakfast for the holiday homes. Recommended: 60-70m rope and 10-12 expresses. The climbing courses (basis, lead, multi-pitches & family climbing) include the equipment. For the courses please bring: sports shoes, daypack, warm sweater, light jacket and sunscreen (SPF 50). All information about ticket booking: Caminito del Rey. You park in El Chorro and take the shuttle bus to the north entrance (30min) from here you walk to the entrance another 20 min. The exit is town in El Chorro. El Chorro offers a variety of easy and well-secured climbing routes (from the 3rd grade on). Our climbing instructor will gladly give you every morning, individual insider tips & recommendations. El Chorro is one of the largest Spanish climbing areas and the rocks stretches over many kilometers. The Climbing Lodge is located relatively in the middle. The first rocks you can reach in 20-30 minutes on foot or 10-15 minutes by car. Our friends and guests appreciate the flexibility of a cheap rental car (from 8,00 EUR/day). Here you will find links to cheap car rentals and detailed directions. In combination with our climbing courses guests often travel alone. Since the Climbing Lodge has only 16 guest beds, it is more of a family atmosphere and there for single travelers also very pleasant. In our rooms we rent the beds individually. We offer our climbing courses from September-November & February-May in English language. With some toprope indoor experience, this course is just the ticket for you! In small and easy steps, we show you everything you need for independent & safe rock climbing (including climbing techniques). El Chorro offers a variety of easy and well-secured routes (from the 3rd grade on) that are ideal for your first climb on real rock. HOW LONG ARE YOU IN EL CHORRO? We are from Hamburg & we opend the Climbing Lodge in El Chorro in 2006.